So I just bought a Remington 700P and I was going to get this optic for it. Now where I’m stuck is scope rings and base. My buddy has referred the Leupold Mark 4 rings and a Nightforce base steel on both but I’m lost. All I know is you get what you pay for so good quality isn’t cheap. I’ve been doing research but haven’t found anything for my specific scope. Anything thing will help please and thanks. Rings and base are not necessarily scope specific. The base will be rifle make and model specific and the rings will be tube diameter specific. The scope you are posting about here is 30mm tube so you will need 30mm rings. Ring height will be user preference. An armed public are citizens. A disarmed public are subjects. 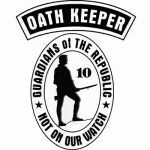 OATH KEEPER #8233 Support us, and join our cause. If u wanna go affordable but great quality talley lightweight ring mounts are excellent. Lifetime warranty and excellent customer service don't mean a thing when your gun fails during a zombie attack. "A Liberal is a person who will give away everything they don't own." Thank you. I’ll check out the brands and see what I can find. When you are dead, you don't know you are dead.It is difficult only for others. It is the same when you are stupid. This page was generated in 0.203 seconds.